Hello - and thanks for stopping by the “Meet IDHA - Executive Council” page. I’m Laura Scully, on November 3, 2018 I began my leadership role as President of the Illinois Dental Hygienists’ Association. I have been an ADHA/IDHA member since 1992. Maybe you’re like me, for decades I’ve been a member yet, I have not been the most active participant. I always knew there was a dedicated group of dental hygienists looking out for me and my profession. I worked in private practice, had my kids and I let them do the work. For instance, when I was in dental hygiene school, we learned how to administer anesthetic even though legally I could not perform this procedure when working in Illinois. Lo and behold, this organization worked on our behalf to enable us to provide comfort to our patients without disturbing the dentist. The new graduates take this for granted - as this is the unknown progress of our profession. I think it’s benefitted the whole team and especially the patients, as their treatment time is utilized for periodontal therapy rather than waiting for administration of anesthetic. Well, now I’m really involved. I’ve been helping with Hy-Pac, enjoyed the policy, the people and the progress of the Public Health Dental Hygienist. As many of you are aware, we truly have a wonderful group of component trustees, delegates, committee chairs and executive council members. I am so grateful for the path they have paved and I hope to continue their work together throughout my term. I encourage you to reach out to them to express your appreciation for all they do as volunteers. Or if you have any interest in Digital Media, Ethics, or Public Relations - I’m looking for team members. It’s been a challenge to stay connected wth the transition to larger component areas. The component leaders are doing their best to provide interesting CE courses and attempting to select locations that are easily accessible. If you’ve been to an interesting venue, email us at: mail@IDHA.net, let us know about topics or sites. We are here for you - what we can do better? In closing, we work daily to help others improve their oral and general health with little appreciation. As a volunteer the experience is similar. 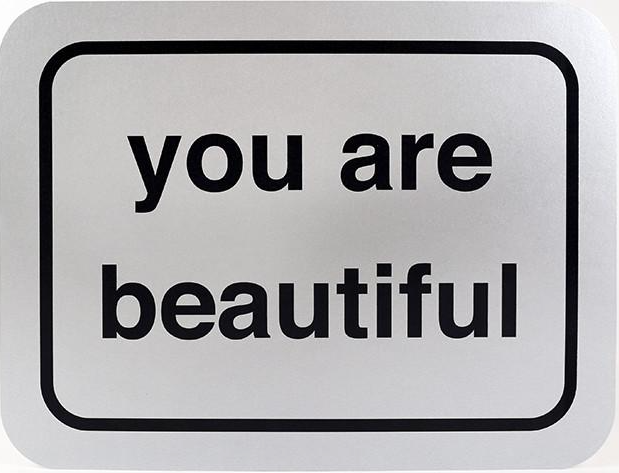 In Chicago, there’s a “you are beautiful” pop up store near Addison and Elston Avenues. With their permission, I’m sharing a photo of their sticker with a message we too often forget. You Are Beautiful. Here’s my message to you! I hope it brings a smile to your face. Be sure to come back to IDHA.net for updates on CE courses, legislative updates and job opportunities.